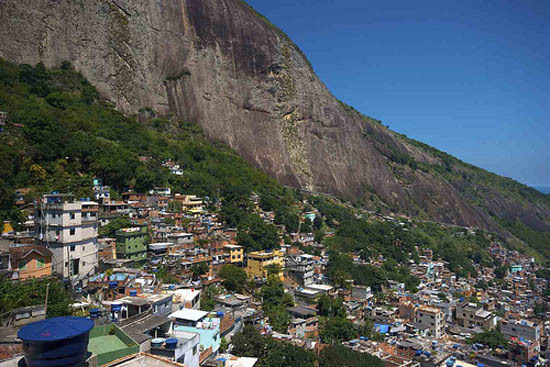 Above: Favela da Rocinha, the largest slum in Rio de Janeiro and all of South America. Photo by kevin.j. Feature photo by CARF, of Roney, a street child who was murdered in Jan 2006. Getting orphans and street children off the streets is literally a matter of life and death in Brazil. What: Casa do Caminho is an orphanage located near Rio De Janeiro, Brazil. 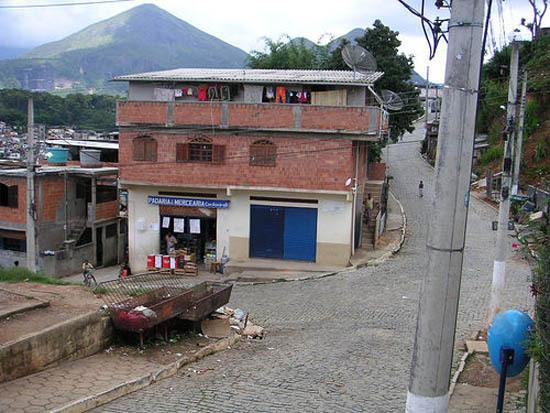 It seeks to take orphans out of the violent, drug riddle neighborhoods of Rio and educate them in a healthy, rural setting. How: Organic farming practices, Information Technology, and social assistance are among the many projects where Caminho needs help. Who is eligible to volunteer: Anyone over 21, with basic Portuguese language skills need only provide a 6-month commitment and a plane ticket to Rio de Janeiro to begin this adventure. Casa Do Caminho is located in the rainforest outside of the village of Xerem, some 30 miles outside Rio de Janeiro. It’s a different world than the drugs, violence and crime that most of them faced in the city. The campus includes three separate dorms for children, teenage boys, and teenage girls, and is a safe and nurturing environment for these young people, many of whom who have undergone physical and sexual abuse and often lack basic social skills. Staff and volunteers feed, clothe, supervise and educate the children in a variety of ways, as well as maintaining the facility. This provides a unique opportunity for volunteers, giving them the chance to experience firsthand the true flavors of Brazilian culture. Casa do Caminho has been in operation for over 20 years. During this time, the orphanage has helped a variety of children and worked on many projects. In 2006, the orphanage hired Dutch national Bart Bijen to be the new director of the organization. Volunteers often get discouraged with poorly-run programs. Outright corruption exists throughout many South American NGOs. Bart has taken on the challenge of making the orphanage economically viable and more accessible to volunteers. Within his first few months, he made the difficult decision to fire over 50% of the paid staff. But such leadership decisions are paving the way for a bright new future for the children and volunteers. Volunteers start with the children at 6 a.m. when they have to be ready for breakfast and school. The children are educated in half-day shifts, giving them time to participate in other activities as well as doing chores. Educators at the orphanage reinforce the learning the children receive at school. Volunteers will also work on one of the orphanages other projects, including the Information and Communication Technology (ICT) project and the organic farm. In the evenings, children are tasked with chores and hygiene. Once they cleaned up themselves and the facility, there evenings are free to play, watch television, or engage in activities set up by volunteers. All volunteers are welcome. Casa do Caminho is engaged in the difficult task of building a team of idealists—people who want to work towards the betterment of the children. Interaction with the children and other locals is constant, regardless of the specialty for which you have volunteered. A good grasp of Portuguese fundamentals is a must. 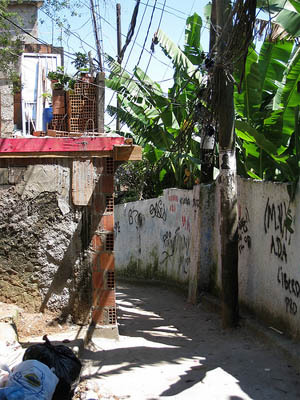 Casa do Caminho can often secure immersion courses in nearby Rio De Janeiro for a reasonable cost. Volunteers must be willing to commit six months to Caminho. There are multiple reasons for this, not the least of which is the relatively time and energy it takes to get a volunteer up to speed. Typically, the 6 months is arranged through a tourist visa which lasts for 3 months and can be renewed on while you’re there. Volunteer visas are trickier and, if not secured, can preclude one from getting a tourist visa. Since you are working with children, a basic criminal background check must be obtained. This may seem like a hassle, but bear in mind that there are a lot of less-than-professional organizations out there. What does Casa Do Caminho offer its volunteers, apart from the warm feeling of helping? Having secured a new vehicle, the organization offers free pickup and drop-off from the Rio airport. Bart also semi-jokingly refers to “…a daily injection of rice and beans” that is given to volunteers, but food is provided. Accommodations are also on the list of benefits, with the volunteers having their own shared building. And as if food, lodging, and transportation wasn’t enough, volunteers are also offered a rare glimpse of Brazilian culture through Capoeira—a blend of martial arts and dance, particularly to the Rio de Janeiro region. At the end of the day, volunteering is about a wholehearted desire to give back. These children have come from terrible situations and Casa do Caminho is their savior. As they strive to provide more services and secure more funding, volunteers are put in a unique position to make a difference. Volunteering for Casa Do Caminho is a heavy commitment, but one that will pay back in a cultural and human experience that no money could ever buy. Click here for a list of volunteer opportunities, or to find out more about the orphanage, visit Casa do Caminho. What the hell is the matter with the Olympics?